Tellurian Inc. said it hopes to begin construction in the first half of 2019, with the first LNG expected in 2023. In a statement, USEA Executive Director Barry Worthington congratulated USEA-member Tellurian Inc. on its progress and contribution to U.S. energy security. “Tellurian is an exceptional company founded by someone who has made the U.S. one of the world’s largest suppliers of LNG, behind only Australia and Qatar. “Global demand for natural gas is expected to double by 2035, and in turn, the demand for LNG. 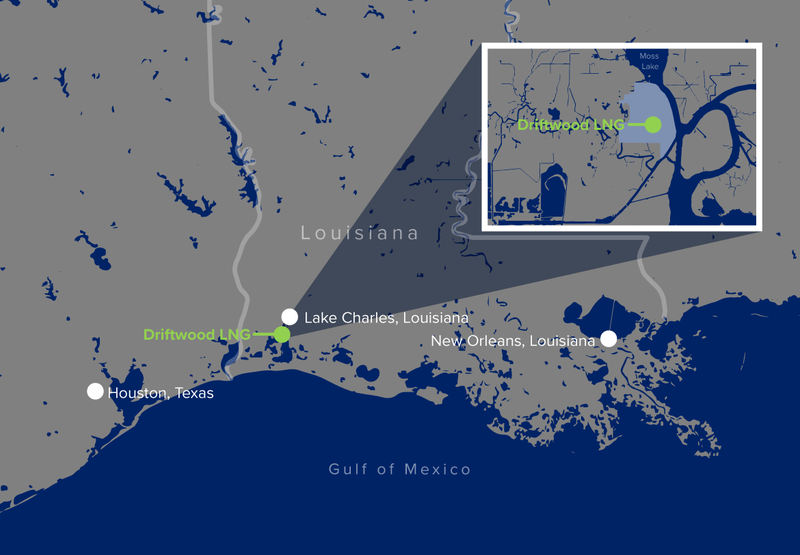 FERC’s approval of Driftwood LNG was a significant overture to help meet that demand. “FERC currently overseas three operational export terminals—Dominion Cove Point LNG in Maryland, Cheniere/Sabine Pass LNG in Louisiana, and ConocoPhillips Kenai in Alaska. Cheniere’s Corpus Christi export terminal is under construction. Driftwood LNG would likely be the next under construction though several others have received FERC approval to break ground. “This is historic. We applaud FERC’s thorough expeditious process, and we applaud President Trump’s policies that have encouraged American energy production and the Trump administration’s efforts to remove barriers to all energy production, development, delivery, technological innovation and exports. “This creates energy security in the U.S. which allows us to help our allies secure their own future and economic growth. “The European Union is the world’s largest natural gas importer. Most of its supply comes from Qatar, but some of its supply comes from Russia, Norway, Algeria, Nigeria, Peru, Trinidad and Tobago. “The U.S. only met 4 percent of the continent’s natural gas demand last year. Meanwhile, other suppliers are coming online from Malaysia and Indonesia. “Meanwhile, this year China is expected to become the largest natural gas importer in the world. Half of its supply will likely come from U.S. LNG ships and the rest from a pipeline that runs through Europe and Central Asia.